Business: Weber & Associates, Inc.
Steve Weber is an entrepreneur, speaker, business-consultant, writer and aspiring author. He is also a professional speaker who works with companies and organizations to improve individual and organizational performance by incorporating the straightforward, authentic, simple-yet-powerful truths learned from Forrest Gump. Gumption starts with a way of being. That way of being leads to your actions. Your actions produce the results. Knowing where to begin is the answer. Gumption is the key!Sparked by this realization, Steve developed a series of topics relevant to success in business and in life. By using Forrest Gump's persona, wit and wisdom, Steve delivers interactive, lively and motivational programs. His uncanny resemblance to Forrest Gump, the timbre of his voice, and just enough southern drawl delight, amuse and inspire the people who hear him.While being entertained by Steve (and Forrest), audiences learn valuable lessons such as: Believing in yourself when others don't Using "Gumption" to turn adversity into opportunities Leveraging strengths while overcoming weaknesses Developing and staying true to core values Knowing what to say, when to say it and when to say less Challenging the status quo Ultimate success and happiness are both congruent and the same when you pursue your dream...passionately!By offering "more content than an entertainment speaker and more entertainment than a content speaker," Steve never fails to make an event a success. You can always find Steve running cross country as he shares Forrest Gump's inspiring messages with a variety of audiences. His presentations include keynotes, breakouts, seminars, skits and meal functions-all seen through the eyes of Forrest Gump. Keynotes & Topics Life Is Like a Box of Chocolates But ... You get to choose the one you want. Genetic Luck, a Bad Haircut and the Idiot Part Comes Natural Recognize and take advantage of your core talents. And That's All I've Got to Say About That! The power of saying more by saying less. In 1996 Steve became the spokesperson portraying Forrest Gump for the Bubba Gump Shrimp Co. While working and traveling, seeing new cities and watching the launch of new businesses, Steve began using the inspirational messages from Forrest Gump for more than just entertainment and promotional purposes. He quickly realized the movie's themes were the primary keys for success in everyday life for ordinary people. 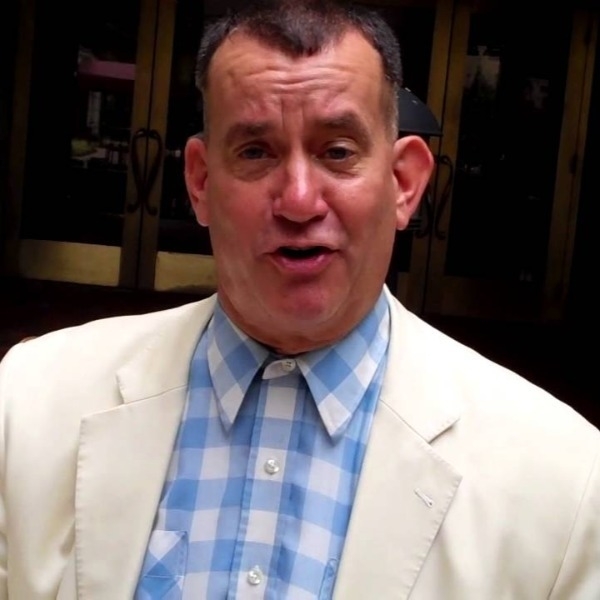 As the international spokesperson portraying Forrest Gump for the Bubba Gump Shrimp Co., Steve has appeared on hundreds of news broadcasts and national news shows including Entertainment Tonight and Fox & Friends. During the past 14 years, Steve has helped open 22 USA restaurants for BGS and 8 of the 12 International BGS restaurants. He continues working with Bubba Gump on holiday weekends and special events.